Celebrate this Valentine's enriched in flavor and fragrance. Baked with love and perfection, this chocolate cake along with a bunch of bright red roses and a pack of Ferrero Rocher is sure to mesmerize your Valentine to the core. This combo is a gift to senses where the beautiful journey of togetherness is celebrated with so much love bundled together with the soulful memories. 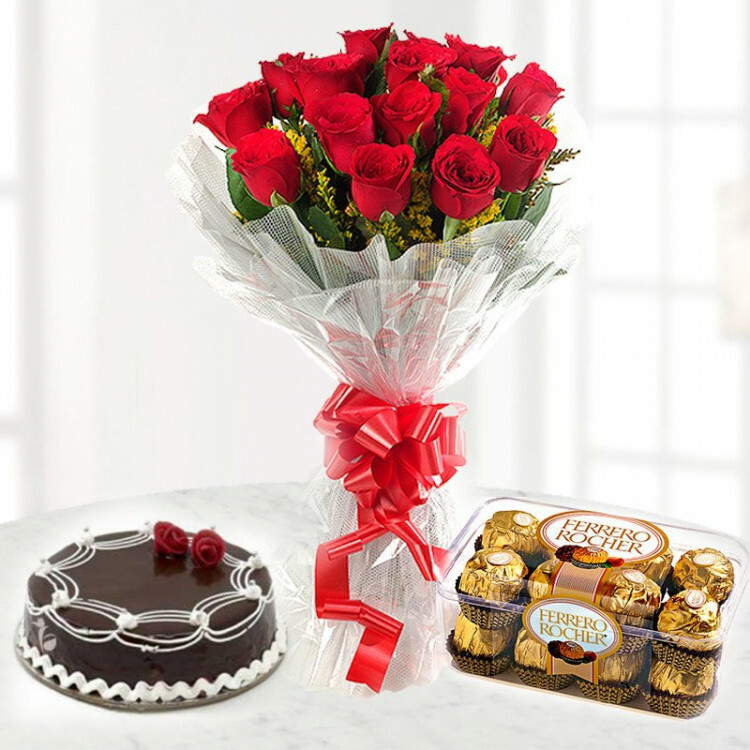 This combo of chocolaty love comprises of: "- 12 red roses bunch - A chocolate cake - 16 Ferrero Rocher"